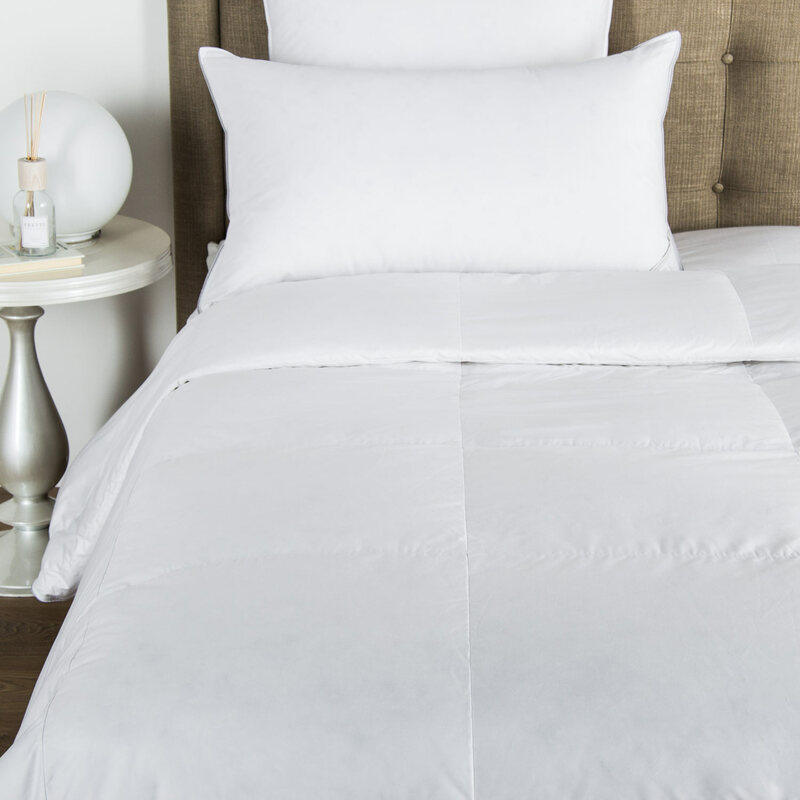 Encased in silky white cotton sateen, the Cortina Warm Down Duvet Filler is filled with naturally light and extremely soft Polish goose down - excellent at springing back into shape and retaining its enduring fluffiness. Firm density. 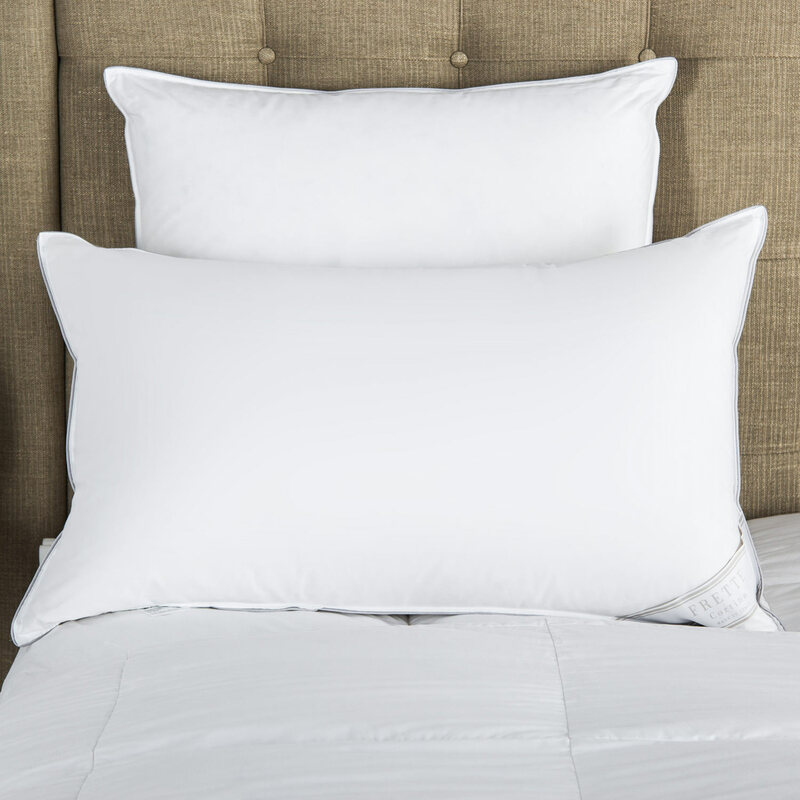 Our Cortina Down Pillows are filled with 85% Polish White Goose Down and covered in a white 380 thread count 100% cotton sateen. Finished with a double stitch seam and decorative piping. 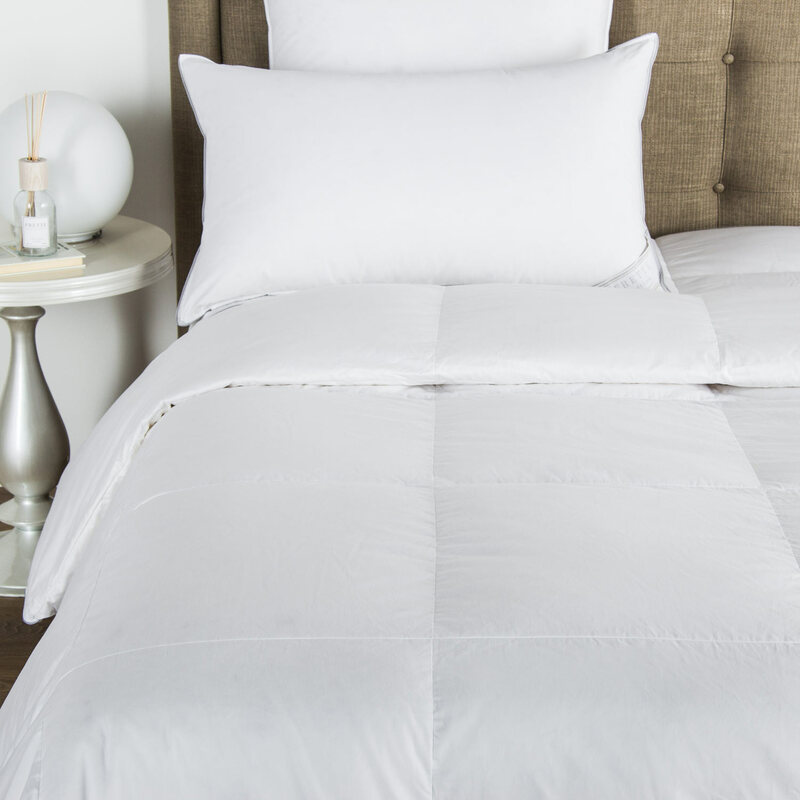 85% goose down, 15% TK, 100% cotton. Made in Italy.